Guttering and Roof Repairs Accrington. Do you need a fast and friendly experienced roofer, who considers large or small jobs a pleasure. We carry out all aspects of domestic and commercial repair work and every job we do is fully guaranteed by us, for a period of up to 20 years on new tiled, slated and flat roofs. Gutter Cleaning and Gutter Repairs! We specialise in replacing or repairing guttering, old cast iron rainwater goods, downpipes, facias, soffits and bargeboards. Tiled, Slated, Flat Roof Installations! A few slipped slates, missing tiles, leaking flat roofs or maybe you need a new installation, we do all of this and more. Large and Small Jobs a Pleasure! We have been managing projects both large and small for more than 20 years and have the skills to deliver on cost and on time. We offer fast, effective maintenance for your home or business property, ensuring maximum reliability and performance. Free No Obligation Insurance Estimates! With more than 20 years experience in the roofing and construction industry, we are able to offer you free quotes on a wide range of repair and building maintenance services. Over the years our excellent rates and customer service have given us a great deal of work through word of mouth. Our customers recommend us time and time again and are completely satisfied with our high standards of work. "I was really happy with your service and the way you responded so quickly to clean out the gutters and fix the leaky downpipes which were causing damage to the surrounding brickwork". Mr J Norton, Blackburn. 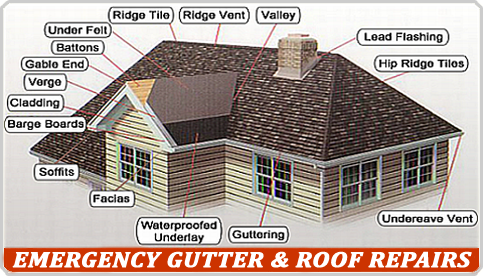 Our roof repair services cover the following regions! Accrington, Blackburn, Burnley, Lancashire, Bolton, Preston, Bury, Wigan, Leigh, Haslingden, Clitheroe, Whally, Nelson, Colne, Skipton, Rochdale. We also offer you a 24/7 emergency call out service! We do not charge for emergency call-outs. Mobile: 07827 966 308 anytime.